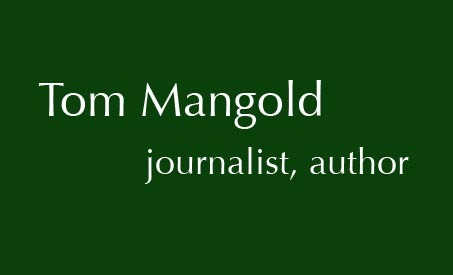 Tom Mangold is now a freelance writer who has written numerous articles for the major newspapers of the world including The Times, The Sunday Times, Daily Mail, the Mail on Sunday, the Melbourne Age, the Independent, Readers Digest and Esquire. He has written many travel articles from around the world, mostly for the Mail On Sunday travel section, specialising in the unusual and the offbeat vacation. His work has included features from Belize, Florida, Colombia, Panama, Costa Rica, South Carolina, East Africa, the Indian Ocean and South Africa. He is now also writing and presenting commercial films for non-broadcast, corporate use and gives talks and lectures on television familiarisation and presentation techniques. 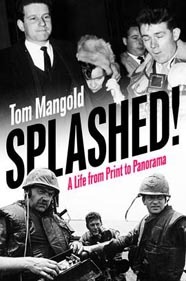 His pro bono work includes teaching investigative journalism and broadcasting interview techniques to students of the Press Association Training Course in Newcastle; and he is a trustee of the charity Prisoners Abroad. He has also commenced a limited number of television training courses for executives and senior managers of major companies throughout Europe and the United States. Blue Tower 10000 Santa Monica Boulevard.